If you love hunting and fishing, check out our log furniture gun cabinets and rustic sports racks! 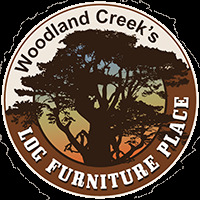 Whether your idea of a good time in the great outdoors includes hunting, fishing or another sport you owe it to yourself to browse Woodland Creek’s “game” room rustic wood furniture collection. Sportsmen and women of every variety often set their sites on our rustic gun cabinets, gun racks and related lodge, cabin and cottage furniture. Each is handcrafted, for high quality that’s worth showcasing. Some people prefer the stately look of aspen furniture. Others prefer a primitive furniture feel, like the one found in our Montana gun cabinet line. 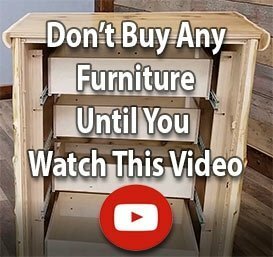 We offer you multiple options in rustic furniture sporting cabinets (and more) – in various finishes – to ensure that your big game room or mountaintop hideaway carries on the rustic decorating look you’ve already cultivated. We can definitely say you won't find a better looking, quality built rustic gun rack than our selection. Our hunting and fishing log cabin furniture offers optimal storage, space savings and safety! From archery racks to gun racks and fishing rod racks, we give you ways to store those items that help you save space and keep everyone safe – with full glass panels, ample but thoughtfully designed interiors and secure locking mechanisms. In short, we offer you the finest quality wood furniture and rustic country decor lodge furniture in all of North America.